Wighill Park Guns | Products | Brattonsound Gun Cabinet RD7+ Sentinel Plus Extra Deep. Brattonsound Gun Cabinet RD7+ Sentinel Plus Extra Deep. 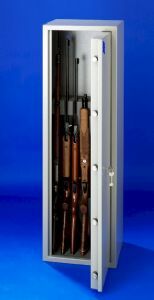 Brattonsound Gun Cabinet RD7+ Extra Deep is Suitable for 6 to 7 guns with scopes. 1308 mm high. 407 mm wide. 346 mm deep. Police acceptance in the UK is guaranteed. 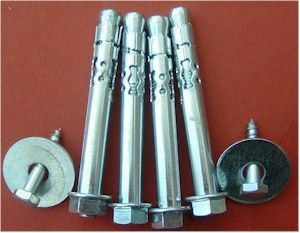 Full length anti jemmy bar, for increased protection to lock side of the gunsafe. Fixing kit available as an extra on the link below. 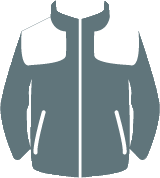 Most cabinets are available for dispatch within 2-3 working days, any longer timescale will be notified immediately. As these items are heavy to transport a charge of £50.00 will apply if a cabinet is wrongly ordered so please make sure the cabinet ordered is the correct size and suitable for your intended use. Delivery is for Mainland England only. Other destinations will carry a surcharge, please call with your location for a price. Brattonsound Gun Cabinet RL5+ Sentinel Plus,Extra Deep With Locking Top. Brattonsound Gun Cabinet RL7+ Sentinel Plus, Extra Deep With Locking Top. Brattonsound Gun cabinet SL5+ With Locking Top. Brattonsound PA5 Pistol Or Ammunition Safe.